Sonex is pleased to announce that flight testing has begun on the Turbocharged AeroVee engine installation in our factory Waiex. 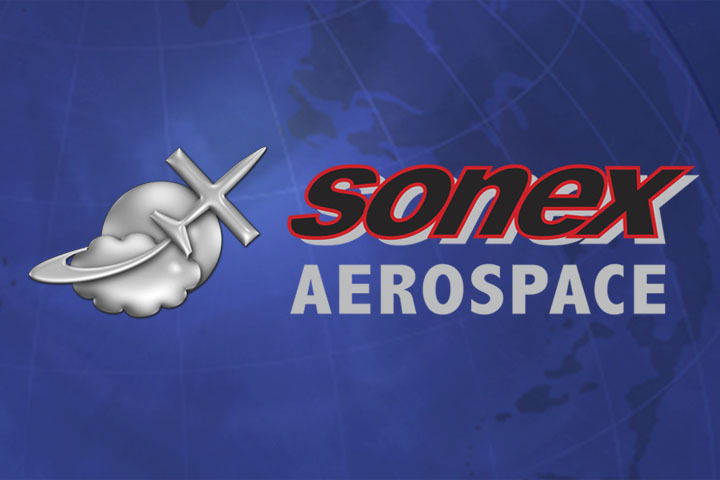 The intent of this project is to continue the Sonex tradition of continuous improvement for our products by developing an economical, light-weight, simple, and reliable retrofit turbocharging system for the AeroVee engine. 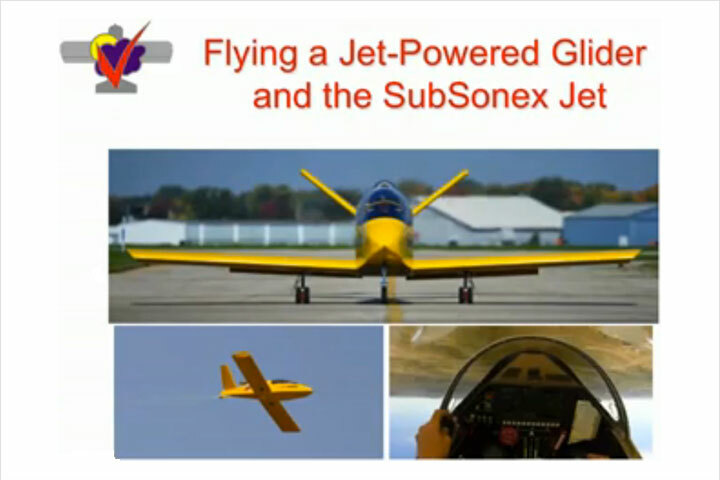 The obvious benefits are more take-off power available at low altitudes and increased horsepower output at altitudes that we normally operate as sport pilots (0 to 10,000 ft). The system being tested consists of an exhaust driven turbocharger, an AeroInjector installed in a “pull-through” configuration on the turbocharger, and an engine-driven scavenge pump to provide oil to the turbocharger. The total Turbocharged AeroVee engine system (with Nikasil Cylinders) weighs 185 lbs in this prototype configuration. 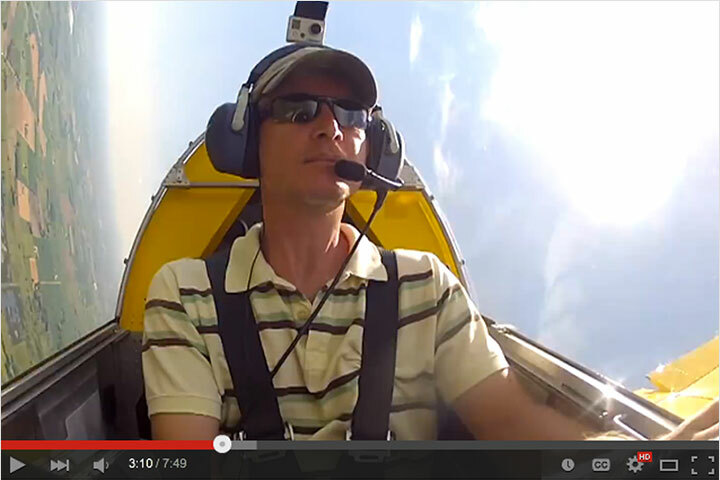 The initial test flights performed by Drew Waterworth this week demonstrated a significant increase in climb rate and cruise speed performance. With all turbocharged engines, heat is a consideration however, since the engine is used in a “duty cycle” operation with full power at takeoff and reduced power settings at cruise, initial flights have shown no significant increases in cylinder head or oil temperatures. Since these first flights were conducted in 80 degree weather, Sonex is very encouraged by the results of the test flights so far. The goal of the test flight program will be to optimize boost pressures, propellers, and temperatures to make the AeroVee Turbo a viable option vs. the normally aspirated AeroVee engine. 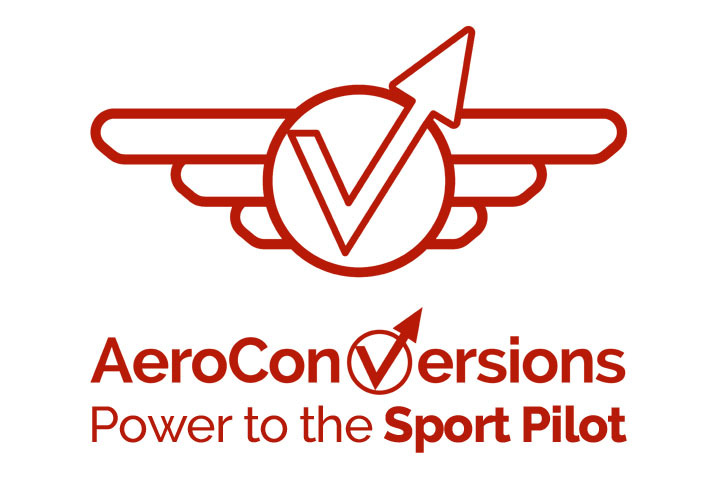 Our intent is to optimize the turbocharged AeroVee system with the use of fixed-pitch propellers for operation in accordance with Sport Pilot regulations. The new ground-adjustable Sensenich propeller developed for the AeroVee will be used to optimize the propeller pitch selections for this system. Our endeavor is to produce reasonable performance enhancing products and this is an exciting step forward in this direction. Aircraft engines are not generally run at their maximum rated horsepower and the AeroVee is no different than any other aircraft engine in that respect. Maximum rated horsepower should never be confused with maximum continuous horsepower (aka cruise power), which obviously decreases with altitude in a normally aspirated engine. Being able to produce and maintain more continuous horsepower at altitude presents a significant advantage and is one of the primary reasons we’re so interested in pursuing a turbocharged AeroVee. AeroVee Turbo powered Waiex returns after successful test flight. 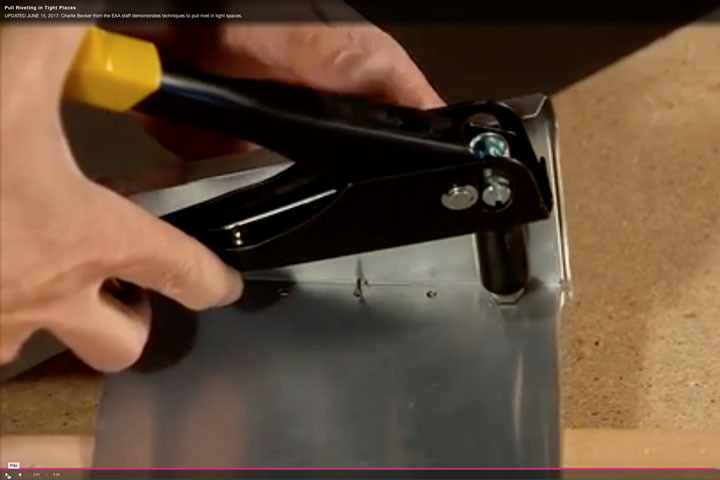 Notice the factory prototype Waiex’s side-exhuast ports in the cowling are now covered for the new exhaust configuration of the turbo installation. 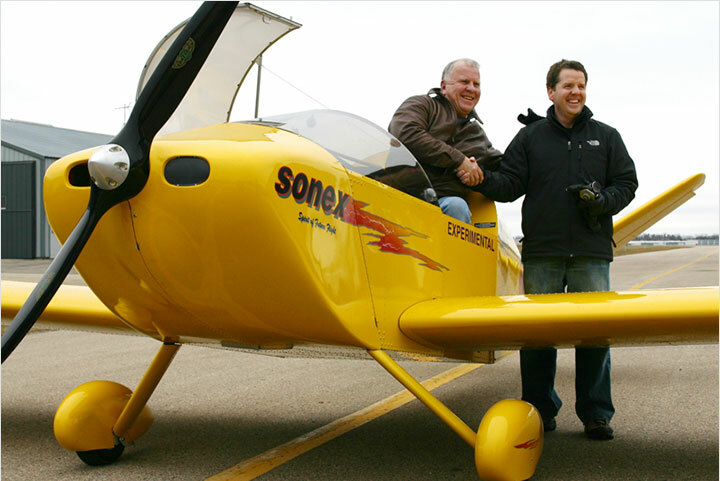 Sonex builder and R&D volunteer Drew Waterworth has been a valuable member of the AeroVee Turbo development team. Our initial flight tests have shown significant increases in climb and cruise performance consistent with what we anticipated. Specific performance numbers will be released in future progress updates after more test flights have been completed to optimize the system and more data has been gathered.